Destination Weddings & Honeymoons, an onsite portal dedicated to celebrating your love abroad, placed the Riviera Nayarit in second place on its list of the top honeymoon destinations for celebrities. The destination continues to be a topic of conversation around the world thanks to the promotional snowball started by the constant public relations and marketing efforts of the Riviera Nayarit Convention and Visitors Bureau (CVB). Proof positive: it now resides in the number two spot of the top honeymoon destinations for celebrities. Thanks to Mexico’s Pacific Treasure’s infrastructure, service and synergy with Nature, the magazine and website Destination Weddings & Honeymoons placed the Rivera Nayarit among the most important destinations for international celebrities. It also pointed out that Jessica Simpson and Eric Johnson followed their example to relax and enjoy a luxury getaway. This publicaiton is published in the United States and offers its visitos a varied gamut of possibilities of where to tie the knot. Its webpage averages 810 thousand monthly visits and they print 350 thousand copies of the magazine every semester since 2005. It also has 315,800 followers among its accounts on Twitter, Facebook, Pinterest, Instagram and Google+. Its main market is the United States: 25% of the weddings that take place in this country on a yearly basis use this company’s services. That translates into 332,500 weddings with services related to this magazine in the United States in 2012 alone. Its readership is made up of 90% women over the age of 32 with an income of $100K+ per year. Ninety-three percent of these have a university degree, 91% have a current passport and 77% are planning their first wedding. These excellent stats confirm without a doubt that the promotion given to the weddings and romance segment has been right on target. 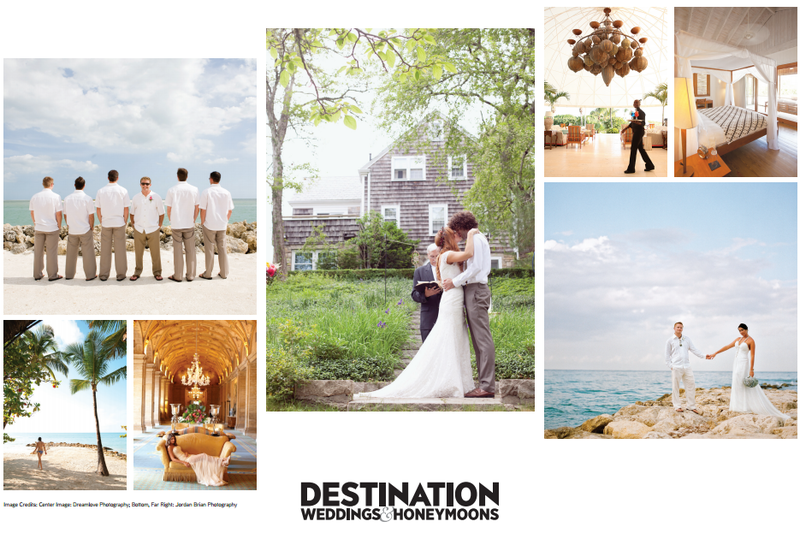 To read the article in full, visit: http://www.destinationweddingmag.com/gallery/20-celebrity-honeymoon-destinations.